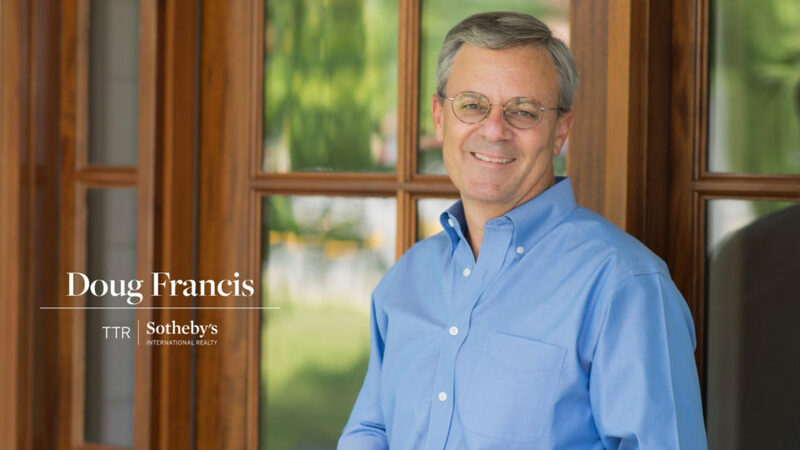 Doug Francis has been a Realtor in Northern Virginia since 1991 and works at TTR Sotheby’s International Realty in McLean, VA. Having navigated through many economic cycles and HGTV inspired trends, he is fully committed to helping his clients sharing his vast experience with custom homes, covering typical transaction expenses and mortgage financing. His innovative use of technology, focused negotiations, ambition, and timely candor helps his elite clients understand the big picture. 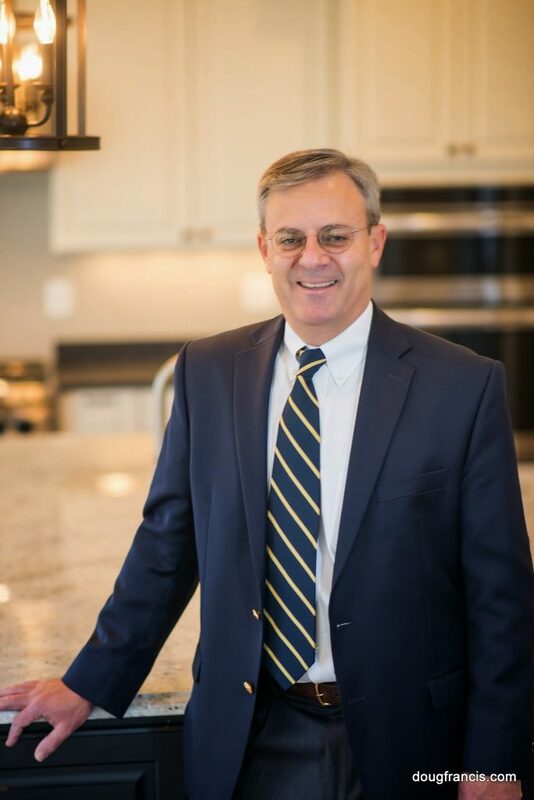 Doug is a respected member of the Northern Virginia Association of Realtors Lifetime Top Producers Club, is in the RE/MAX Hall of Fame, been recognized by Washingtonian Magazine as a Top Agent, and volunteers his time and tech knowledge with the Northeast Vienna Citizens Association. He is on the Advisory Board for the Vienna Arts Society. 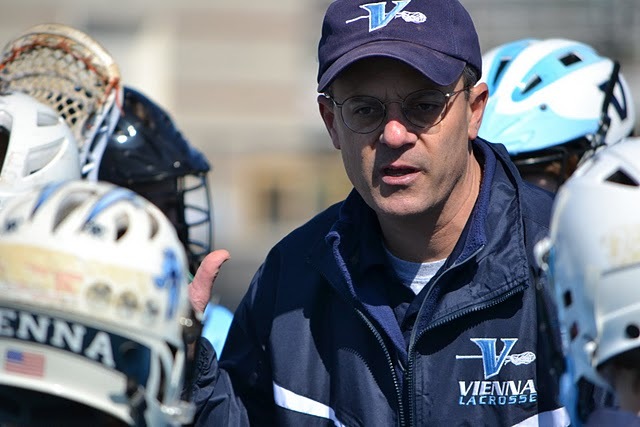 He coached VYL boys lacrosse, was quoted in Money Magazine’s Best Places to Live article ranking Vienna #3, and was filmed for a commercial for Verisign which profiled his use of this .com in their Where the World Clicks campaign. Doug and his wife Patty currently live in the Town of Vienna with their two children. They are active in the community, with one teenager attending Fairfax County Public Schools and the other a freshman in college. When the real estate market took a nose dive in 2008, I had an opportunity to step back from my day-to-day work and innovate. The market was flat, credit was tight, and the overall mood of the economy was negative. The situation required an unorthodox shift in strategy and, as I have to often in the real estate business, tapped into my team of friends and smart clients to develop a new web 2.0 strategy. My ambitious new strategy was to focus on the Vienna real estate market, specifically the teardown boom and construction of new homes. The Town of Vienna is the perfect location for this transformation where homes from the 1950’s are in a very walkable, bike-able, and tree-filled community which appeals to the Not So Big House movement. 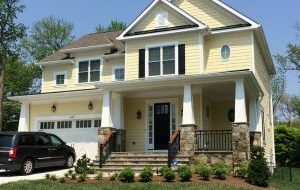 Tear down or infill construction is also happening in McLean and Falls Church where I have helped clients buy new homes too. The goal still is to write about what I do, include some humor, and tell stories based on actual real estate experiences that may help someone else. And I have expanded to write about actually living here with blog posts that give insights to anyone who may be relocating to the Washington D.C. area. Although the gurus told me the “blog focus” was the wrong strategy back in 2009, my inner nerd knew my articles would be interesting to anyone with an iPad researching the real estate market. Always results-oriented, I attracted elite clients who have bought and sold homes across Northern Virginia (not just Vienna), became the key source for Money Magazine’s #3 ranking of Vienna, and was profiled by Verisign in a fun global personal marking campaign. With 95% of consumers searching online, accurate information along with excellent content including exceptional photography must be the priority. In late 2014, I decided that my clients could be even better served through my affiliation with TTR Sotheby’s International Realty which has an outstanding presence in the Washington D.C. market and listing resources that are exceptional. Combined with my team of professionals combined with TTR Sotheby’s global internet reach, my crafted listing strategy now has a recognized global reach. Today’s smart consumer demands data and marketing exposure on multiple platforms. 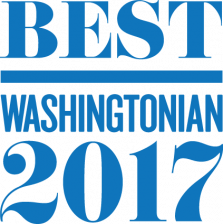 In 2017, Washingtonian Magazine recognized me on the Top Agents list. In essence, it’s been a good fit. TTR Sotheby’s has improved my business… now I bring million-dollar marketing to every price range. Over the years clients have written reviews online, so feel free to Google me or check out my LinkedIn page. Virginia Real Estate License since 1991 (0225 021708) working in the suburban Washington DC metro area. Is a Listing Agent when clients are selling a home, and as a Buyer’s Agent when a client is purchasing a home. or sitting at a table in Caffè Amouri enjoying a mocha latte. I live in Vienna, and have lived in Oakton and in McLean. 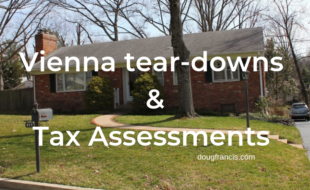 Vienna real estate is the primary focus on this site but I cover Northern Virginia which includes Alexandria, Arlington, Ashburn, Centreville, Clifton, Dunn Loring, Fairfax, Fairfax City, Great Falls, Herndon, Leesburg, McLean, Oakton, Reston, and Vienna. 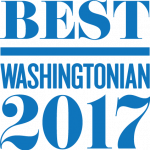 If you are new to the area, these places are in Arlington County, Fairfax County and Loudoun County. I have also sold nice homes in Prince William County. You can contact me right now for more information.